grouser (Ludlow, United Kingdom) on 21 March 2017 in Art & Design. Sure got the ducks in a row there . . .
Ronnie has said it all really. such beautiful frame, colors, lights, shadows & textures! 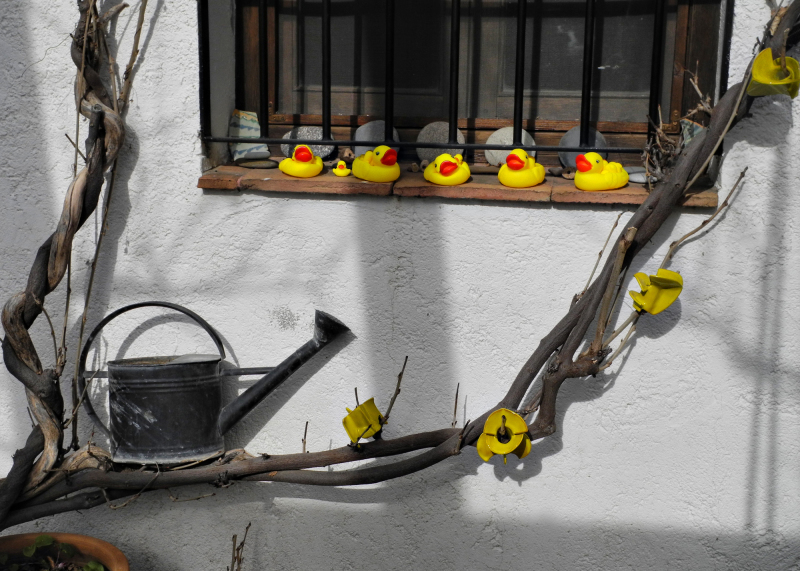 The rubber duckies add to the springtime arrival with their sunny color!! Ces canard jaune sur le bprd cette branche avec l'arrosoir sueprbe. Happy ST! This is delightful! I juST love all of those little duckies! It makes quite an delightful scene. The watering can sitting on the vine is lovely! Happy ST! Most attractive and enchanting and perfect for an ST !